Over the past few years, Apple has released a series of OS technologies that connect devices using Bluetooth, WiFi or a combination of the two wireless technologies. Here's how the new Apple Watch--as well as AirDrop, iBeacon and the new Continuity features of iOS 8 and OS X Yosemite--work to deliver simple, efficient and fast wireless connectivity, in marked contrast to Google's rival efforts for Android. Apple states that its upcoming watch borrows GPS and WiFi from its paired iPhone, but has also told journalists that the watch includes WiFi wireless networking. 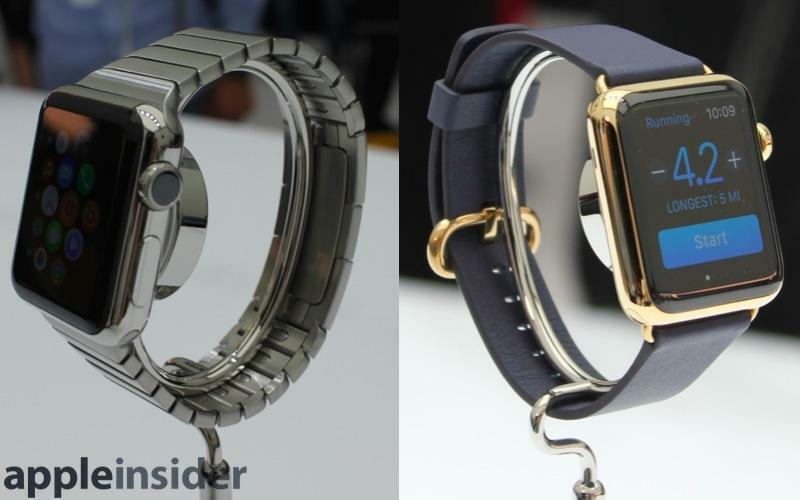 The reason for this apparent contradiction lies in how the watch will use WiFi. Rather than connecting to nearby base stations, it appears to pair WiFi with Bluetooth to speed transfers over a connection initially established by the more power-efficient Bluetooth specification. An examination of Apple's history in engineering WiFi and Bluetooth solutions for Mac and iOS users helps to explain why this design is necessary and desirable. It's also useful to look at how the Bluetooth specification has changed over time. While WiFi wireless networking has primarily just gotten faster and increased its range and reliability over time, the Bluetooth specification has changed dramatically, particularly over the last half decade. Bluetooth was originally drafted in 1994 by Ericsson to serve as a wireless alternative to serial cables for mobile devices. Unlike wired USB, wireless Bluetooth devices require a security layer in the link between devices and trusted peripherals in order to prevent attackers from opening up malicious, invisible drive-by connections. Bluetooth's original linking mechanism configured and shared a PIN code, but this was both time consuming and potentially confusing to set up. The original Bluetooth protocol was also very slow, limiting the kinds of data that can be streamed between linked devices. The specification made a major jump in 2009 with Bluetooth 3.0+HS (high speed), which defined a way for Bluetooth connections to piggyback on WiFi (or other) hardware in order to send data much faster--resulting in a jump from roughly 2.1Mbps to 24Mbps. This gave Bluetooth the potential to serve far broader applications than simply pairing a wireless keyboard or mouse, but the feature also required new Bluetooth hardware in order to work. The next summer, the specification authors headed in the other direction with the release of Bluetooth 4.0 LE (low energy), which incorporated Nokia's independent "Wibree" effort. Originally a competitor to Bluetooth, Wibree was engineered specifically for low power consumption and to be cheap to implement. It initiated simpler connections quickly, allowing for highly efficient wireless communications with devices that could be powered by as little as a single button battery. Once Wibree was folded into the Bluetooth 4.0 specification, "Bluetooth" essentially became an umbrella brand for three different protocols: classic Bluetooth, Wibree "baby Bluetooth," and essentially "Bluetooth+WiFi," depending on the task at hand. 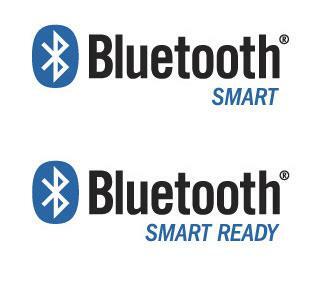 The Bluetooth standards group has tried to communicate this with its Bluetooth "Smart" (Bluetooth LE peripheral) and "Smart Ready" (device that works with Bluetooth LE peripherals) branding, although the broad range of things that are in some way part of the "Bluetooth" spec are still a little confusing. Of course, to take advantage of these new "High Speed" or "Low Energy" features, computers, mobile devices and peripherals must incorporate hardware support for the various Bluetooth specifications. Apple has long offered basic support for classic Bluetooth 2.x features, but the company began aggressively moving to adopt the latest Bluetooth 4.0 features in 2011. As the installed base of Mac and iOS users has upgraded, Apple also began building a series of OS and app-level features that take specific advantage of the new capabilities of modern Bluetooth. 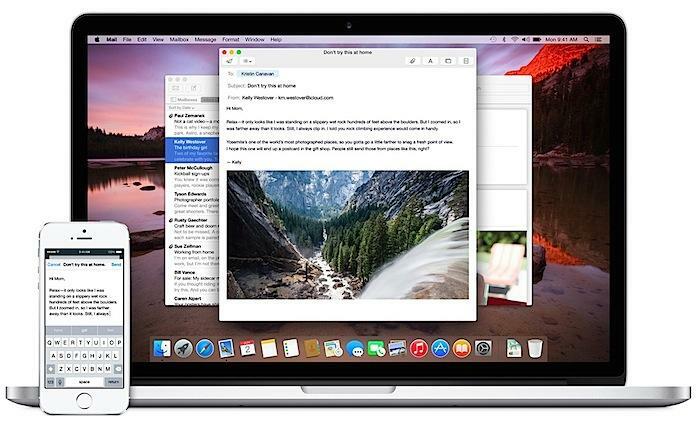 In 2011, Apple introduced OS X Lion with support for AirDrop, a new Finder feature that allowed Macs to discover other nearby Macs in order to send or receive files with them without requiring a connection to a shared WiFi network base station, nor any manual network configuration at all. 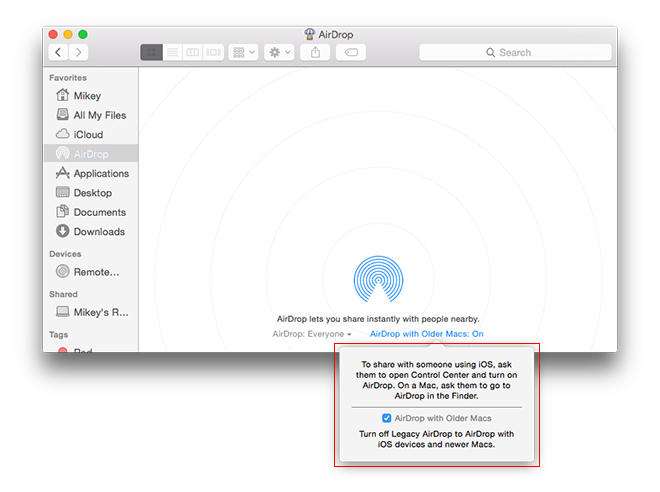 AirDrop users on each end simply needed to have WiFi on, and both needed to open a Finder AirDrop window to browse for nearby users and listen for (or initiate) AirDrop file transfer requests. 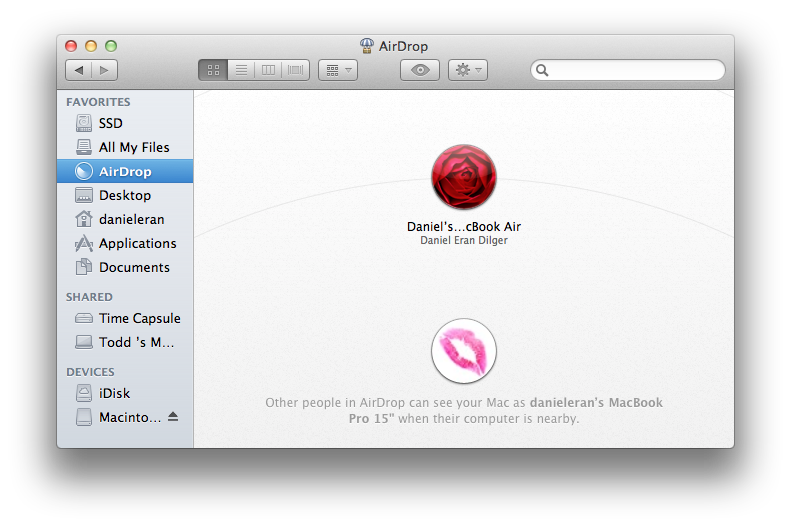 AirDrop on OS X didn't make any use of Bluetooth, so it doesn't even need to be on for AirDrop to work. Two years later, Apple introduced a similar AirDrop feature for iOS 7 devices. However, it doesn't work between iOS and OS X because iOS AirDrop uses a different underlying technology. Rather than WiFi, iOS discovers and communicates with other iOS AirDrop users using a combination of Bluetooth and WiFi, leveraging the 'High Speed' feature optionally introduced in the Bluetooth 3.0 specification. 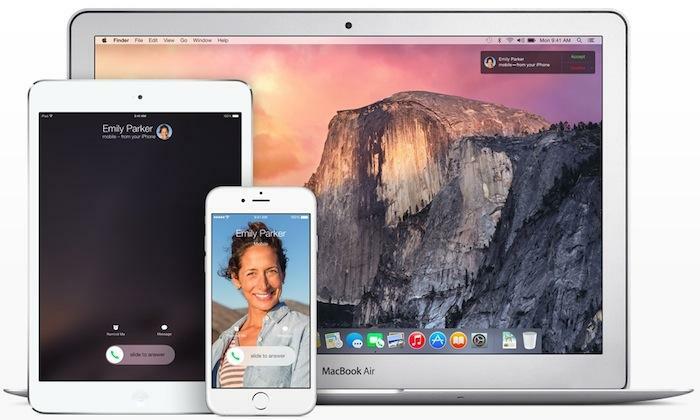 In the upcoming iOS 8 and OS X Yosemite, Macs and iOS devices will be able to communicate with each other to share files via AirDrop because Macs are now gaining support for the iOS-style Bluetooth+WiFi version of AirDrop. Apple launched AirDrop as a WiFi-based service for Macs first, then transitioned to a hybrid Bluetooth/WiFi protocol for iOS due the significant power efficiency advantages of handling the initial network setup using Bluetooth. Once the connection is negotiated via Bluetooth, AirDrop activates the independent WiFi hardware to actually send data, because WiFi is much faster than Bluetooth. This design wasn't possible in 2011 because few Macs among Apple's installed base of users supported Bluetooth 4.0 back then, which the new iOS version of AirDrop requires. The first iOS device to get Bluetooth 4.0 was the 2011 iPhone 4S. However, its WiFi chip doesn't support iOS AirDrop, which wasn't ready for release for two more years. In the meantime (in order to get AirDrop working on Macs between 2011 and 2014) Apple needed to use WiFi alone (apparently a subset of "WiFi Direct"). Even Apple's original 2011 version of WiFi AirDrop for Macs minimally required a specific generation of Broadcom 802.11n WiFi controllers, which ruled out AirDrop support on Macs older than 2009, and even some MacBook Air models sold in 2010. Again, on Macs that currently support AirDrop, you don't need to turn Bluetooth on to use it. Today, most Macs now support Bluetooth 4.0 (which was introduced on the MacBook Air and Mac mini in 2011, and then to the MacBook Pro and iMac in 2012), so Apple is switching Yosemite's AirDrop over to the Bluetooth+WiFi version across the board in order to support transfers between Macs and iOS devices. Macs running OS X Yosemite will also be able to AirDrop with older Macs using the original WiFi-only version of the service, but of course those older Macs from 2010 or earlier won't be able to connect to iOS devices using the new AirDrop because they lack hardware support. For AirDrop on iOS, you'll need iPhone 5 or newer, 5G iPod touch or 4G iPad or newer (including any iPad mini). This conveniently coincides with Apple's adoption of Lightning, so its easiest to say that iOS AirDrop needs a Lightning-equipped iOS device, the only kind Apple now sells. After pioneering the hardware adoption of Bluetooth 4.0 Low Energy (aka BLE) across both its Macs and iOS products beginning in 2011, Apple exposed Bluetooth 4.0's new highly efficient LE feature under the iBeacon name last year, enabling a new class of micro-location features. Unlike WiFI, which works as a wireless networking protocol among equal peers (like Ethernet), Bluetooth is a wireless peripheral protocol that connects a device to a simple peripheral (like USB). However, smart devices can also serve as peripherals. Apple's documentation notes that "As of OS X v10.9 and iOS 6, Mac and iOS devices can function as Bluetooth low energy peripherals, serving data to other devices, including other Macs, iPhones, and iPads." Where AirDrop is a feature solely focused on automatically connecting two nearby machines to share files, iBeacon uses the same BLE proximity-discovery features to accomplish other tasks, from unlocking doors to automating stadiums to configuring Apple TV. iBeacons is particularly aimed at helping a mobile device establish where it is relative to nearby low energy iBeacons that are advertising their known location. Any Apple device with Bluetooth 4.0 (including iPhone 4S) can support iBeacon, or act as an iBeacon. Now that Apple has rolled out Bluetooth 4.0 to millions of Mac and iOS customers over the last three years, it can take advantage of the broadly deployed hardware platform to introduce new features in addition to iOS-style AirDrop and iBeacon. 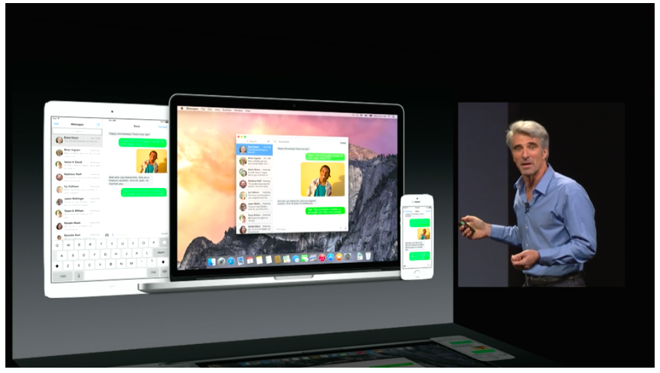 A third collection of features introduced in OS X Yosemite and iOS 8 is Continuity, which includes task Handoff, automatic Instant Hotspot WiFi setup, and bridging telephony and SMS texts from mobile devices to a computer. The same Lightning iOS devices that support AirDrop also support the new Continuity, because these new services use Bluetooth 4.0 LE and Bluetooth 3.0+HS to efficiently set up zero configuration, ad hoc connections with your nearby devices, optionally activating WiFi sessions to quickly push data when necessary. In addition to the Bluetooth spec, Apple is also using your iCloud account to automatically authenticate and pair your devices, resulting in a really smart package of, well, Continuity. On top of the underlying Bluetooth protocol capabilities, Apple has built core OS support to allow applications to package up a task the user is working on and push it from one device to another. Branded as Handoff, this lets you start an email on your phone, and as you walk up to you Mac you are given the option of finishing the message there, for example. Apple has also created the developer frameworks to allow third parties to add Handoff features to their own apps, so those developers don't have to do all of the work from scratch to get this working over Bluetooth on their own. Automatic WiFi setup, branded Instant Hotspot, similarly allows a mobile device to advertise, efficiently over Bluetooth, that it is in range to offer a network connection to your Mac notebook or iOS tablet. The OS on both ends sets up the connection so the user doesn't have to manually configure their connection, just as with AirDrop. While AirDrop optionally enables users to initiate data transfers with either anyone nearby or only specific people in their iCloud contacts, Instant Hotspot is designed to only work among a user's own devices that are registered with iCloud. Buy a new MacBook or iPad, and it will be automatically configured to tether with your existing iPhone, connecting when you ask it and intelligently disconnecting when you're no longer using it. Apple bridged its desktop Instant Messaging chat and SMS texting with iMessage beginning in 2011, but that only allowed iOS users (and the following year, Macs) to send messages to other iMessage users; you still needed an iPhone to send SMS or place calls to other non-Apple users, because mobile telephony services weren't designed to work over standard IP networks. With Continuity, Apple sets up an AirDrop-like connection that uses WiFi to stream telephony calls and texts over IP, letting you place calls and send mobile texts from your computer, a significant industry first. Like iMessage, Apple's FaceTime also lets your place calls and messages from a Mac or mobile device, but those systems bridge the mobile network in the opposite direction (IP messaging to mobile devices), and only work with Apple's own products. Apple's new Watch similarly needs to connect to an iPhone in order to do a variety of tasks. The kind of features Apple demonstrated, however, require more than basic Bluetooth tethering. That's why Apple says the new watch packs WiFi hardware even though it isn't designed to connect to your home's WiFi network. It uses WiFi the same way iOS AirDrop and Continuity do: as a way to speed up Bluetooth when needed. As Apple's press release for the product noted, "Apple Watch also features Wi-Fi 802.11b/g and Bluetooth 4.0 to pair seamlessly with your iPhone." Connecting over Bluetooth and using WiFi only when needed delivers the best combination of power efficiency and speed possible. It also works with vast majority of iPhones sold since iPhone 5 was first released 2012, not just a few new high-end models. This allows Apple to perform Continuity-style features like initiating a call or text conversation on the watch and then moving it over to your phone if desired (and from the phone to your car or Bluetooth headset). It also allows the watch to work as a viewfinder to your iPhone's camera, providing a live stream from the remote phone, thanks to the increased data throughput of WiFi. And of course your iPhone works as an Instant Hotspot for Internet access when you have incoming messages or want to send a sketch or your heartbeat. The connectivity between Apple Watch and your iPhone has to be energy efficient, but also needs to be faster than the very slow original Bluetooth specification allows, and much less of hassle than classic Bluetooth was from the start. Engineering this kind of super automated, highly efficient but also fast connection has been in progress at Apple for a number of years now, as the work on AirDrop and Continuity demonstrates. While Apple has been focused on Bluetooth+WiFi, the rest of the industry remained split among a series of alternatives. The authors of the WiFi specification introduced WiFi Direct to solve some of the problems Apple addressed with AirDrop, and to muscle into the home territory of Bluetooth as a way to connect peripherals. However, because WiFi Direct is based on WiFi it is not nearly as efficient as Bluetooth, a standard created and engineered specifically for use with mobile devices. Microsoft began supporting WiFi Direct in Windows 8, and some Android devices also support at least portions of the protocol, although users report problems in getting it to work. Apple appears to have used a subset of the WiFi Direct specification to deliver the original Mac-only AirDrop, but as noted above, it is now transitioning to the Bluetooth+WiFi protocol it introduced for iOS 7. The authors of the Bluetooth 3.0 HS specification made using WiFi an optional feature, so it wasn't broadly deployed. It appears that most vendors (including Apple) initially skipped deploying Bluetooth 3.0+HS. Apple jumped from Bluetooth 2.x to Bluetooth 4.0, but its devices that support Bluetooth 4.0 (with the apparent exception of iPhone 4S) all appear to also support Bluetooth 3.0+HS, the underlying technology in Apple's iOS version of AirDrop, the new Continuity features and connections to Apple Watch. One notable exception to Apple's focus on Bluetooth+WiFi for mobile wireless connectivity is NFC, which the company is using for Apple Pay on the new iPhone 6 models and on Apple Watch (and very likely, a new crop of A8-powered iPads equipped with Touch ID). 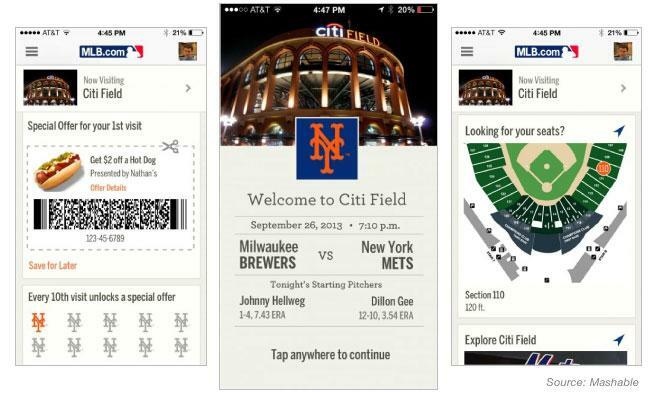 NFC is being used for Apple Pay to take advantage of the broadly deployed NFC payment terminals already in place. Conversely, Google began pursuing NFC (which is neither Bluetooth nor WiFi, but its own protocol specification) back in 2011 with its eyes focused on racing Google Wallet to market as a way to monetize Android users' transactions and collect their purchase histories for data mining analysis. NFC aimed to do many of the things Bluetooth 4.0 could, with the added advantage of supporting Secure Element transactions. Google didn't just use NFC for Wallet. It also linked NFC up with Bluetooth to "bump link" Android 4.1 devices for photo and video sharing via Android Beam, a process where NFC proximity is used to configure the initial Bluetooth connection. NFC itself is even slower than classic Bluetooth, however. Samsung invented its own S-Beam protocol that uses NFC to "bump link" a WiFi Direct connection for faster file sharing between its own devices, although the standard doesn't work across most Android devices. Google's 2011 focus on NFC led it to virtually ignore the modern Bluetooth 4.0 features for years. For that reason, few Android phones got functional Bluetooth 4.0 support over the past four years, so most of the Android installed base lacks the ability to work with Bluetooth 4.0 peripherals (also known as BLE for Bluetooth Low Energy, the high efficiency feature of 4.0 specification). Microsoft also didn't think to add support for BLE to Windows Phone until 8.1, earlier this year. Google's 2011 focus on NFC led it to virtually ignore the modern Bluetooth 4.0 features for years. Supporting BLE doesn't necessarily mean that a device also supports the Bluetooth+WiFi feature of Bluetooth 3.0+HS, so even most Android phones that do list support for BLE can't support the kind of high speed connections Apple uses to support AirDrop and Continuity features. This is one reason why Android Wear "smartwatch" products have a very short list of compatible Android phones they can work with. Even worse, many Android devices with hardware support for BLE, including Google's Galaxy Nexus, Nexus 7 and Samsung's Galaxy S3, are not capable of supporting Google's belated 2013 effort to standardize Bluetooth 4.0 in Android 4.3. That has left Android users struggling with vendor-specific implementations of BLE from Samsung, Sony and Motorola that of course don't work reliably or at all, and at this point Google's latest version of Android has no interest in retroactively supporting users who already bought these hardware fragmented Android devices. This positions Apple and Google at opposite ends of the same playing field: Apple is rolling out NFC for Apple Pay while Google is working to fix Bluetooth 4.0 LE on Android--essentially starting from scratch with only a few models supporting the technology at all, and not without issues. However, with Apple Watch supplying NFC Pay features to users the installed base of Lightning-capable iPhones, Apple has an easier task ahead because the Android installed base has neither fully-functional Bluetooth nor anything like Touch ID to secure NFC. 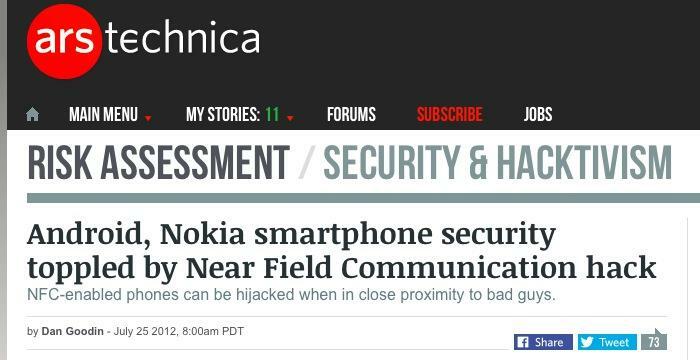 Google also ran into serious security problems related to attempting to use NFC as a general purpose proximity detector and messaging system with Android Beam. Despite a series of false reports on the subject of NFC, the security issues related to the technology are largely tied specifically to Google's implementation, which enabled things like allowing an untrusted NFC device to send an Android phone to a malicious website to download malware. That's not possible under Apple's NFC implementation of Apple Pay, on either iPhone 6 or the upcoming Apple Watch. Conversely, there's lots of cool features that make use of BLE and Bluetooth+WiFi that aren't going to work well on Android anytime soon, in part because Google didn't see the advantages of rolling out the latest Bluetooth features, in part because Android licensees often ship incompatible hardware that is difficult to support (or they simply drop useful features to deliver cheaper products), and in part because Android lacks a desktop platform for Google to integrate Continuity-type features with. It remains to be seen how well Apple will continue to capitalize on its aggressive strategy to roll out efficient BLE and fast Bluetooth+WiFi capabilities across its product line. So far however, the company has achieved a significant lead over Google's Android and Microsoft Windows in integrating widely deployed modern Bluetooth hardware with cohesive, convenient, cloud-secured software features. Further, the cross pollination of ideas Apple actively cultivates between iOS and OS X is being extended to Apple Watch in order to liberate tasks and files from being stuck on a particular device. With AirDrop, Continuity and iBeacons, Apple is creating sophisticated ways to work between form factors in ways that aren't even possible on most Android or Windows devices.